The intuitive and often gestural qualities in Jane Kenyon’s recent paintings demonstrate a surprising shift away from her earlierworks that were ofteninspired fromthe landscape of the Northwest coast. Until recently, Jane held a secure place as a highly ‘collectable’ textile artist. 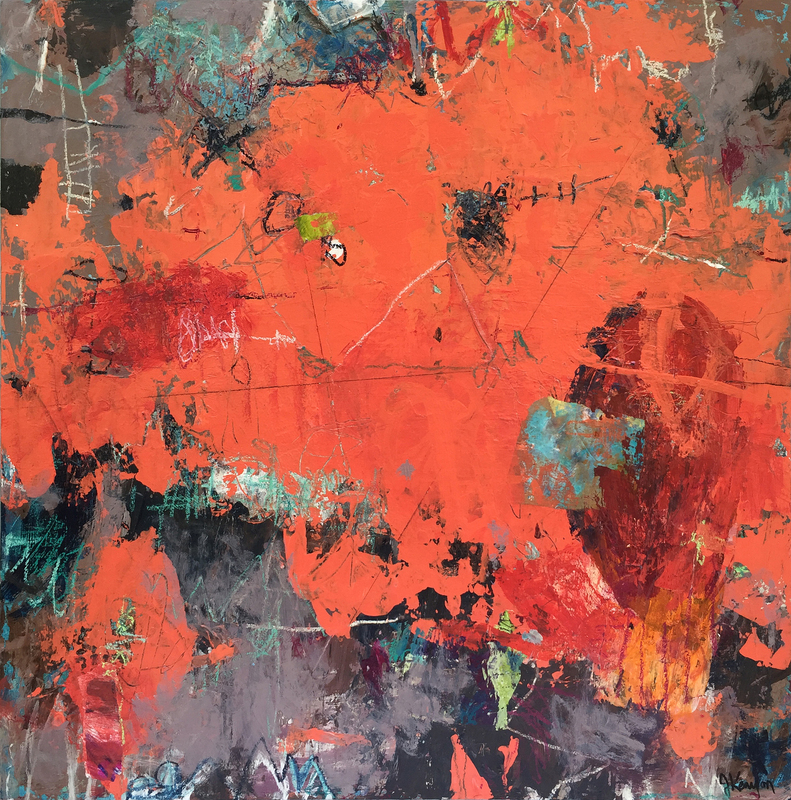 She currently embraces painting as her primary form of expression, and, along with the change in medium, new, more instinctive elements have emerged. For Jane, the transition is a welcome and refreshing trajectory, representing risk in equal measure to satisfaction.